Get a great price on the GeekVape Creed RTA from Vapor DNA. 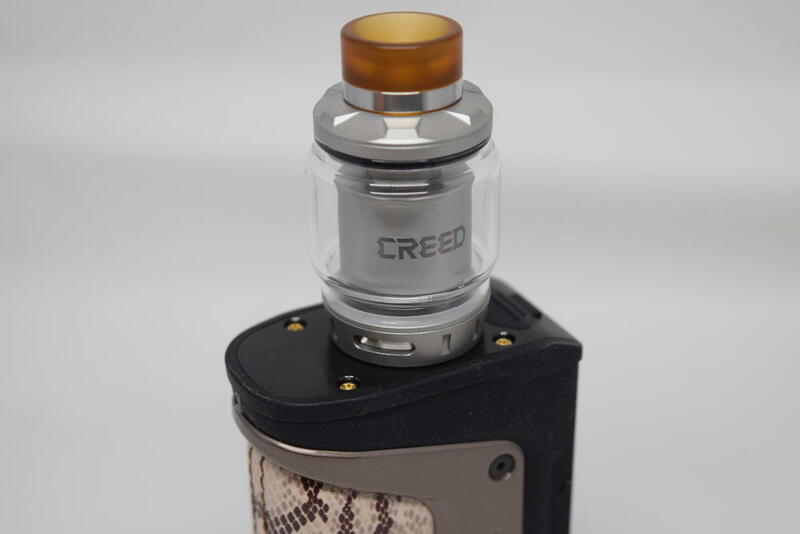 I can’t comment too much on the packaging that the Creed RTA comes in, as I received a review kit, not the final version of the commercially available package. However, the contents of the box are likely to remain the same as the one I received for this review – the massive GeekVape Creed RTA placed horizontally in a Styrofoam holder, next to a 510 Delrin drip tip, two of the three included sleeves for the build deck – once comes pre-installed – and a spare glass section in which you’ll find a frosted 810 drip tip made of acrylic. Underneath this Styrofoam holder, you’ll also find another bag of accessories, which contains a small three-head screwdriver. lost of spare silicone o-rings, and some extra grub screws. 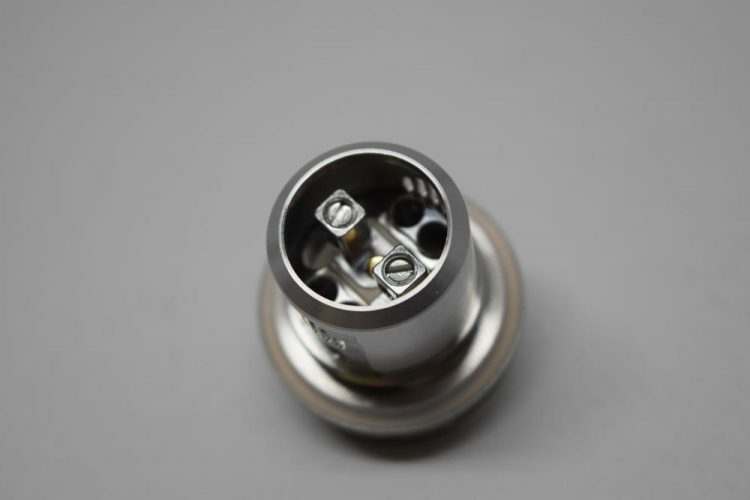 I would have loved to see at least a couple of coils included as well, for people who just want to throw them on the build deck and try this RTA as soon as possible, but with three different drip tips included, and three different metallic sleeves available for the deck, I really cannot complain too much. 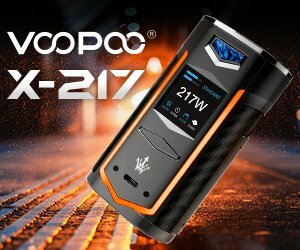 The first thing you notice about the new GeekVape Creed is its size. 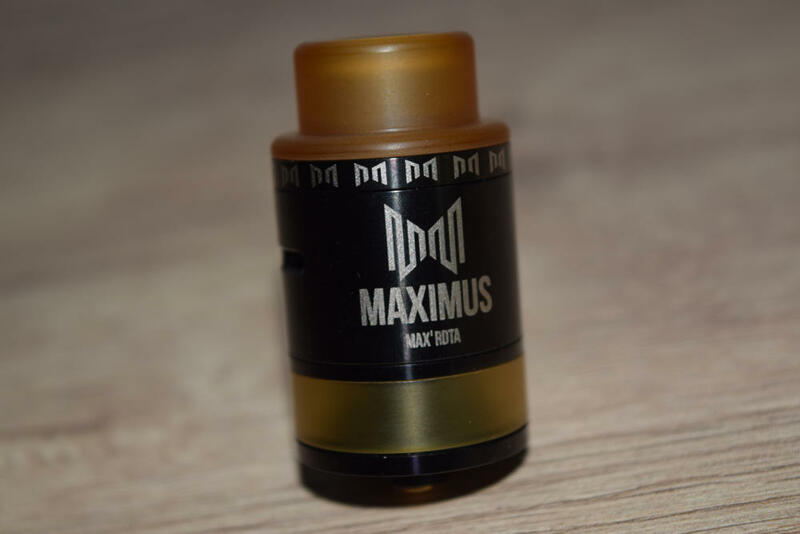 This thing is massive compared to most RTAs or atomizers in general on the market today, but that’s mostly due to the pre-installed bubble glass, which balloons to a whopping 30mm in diameter. 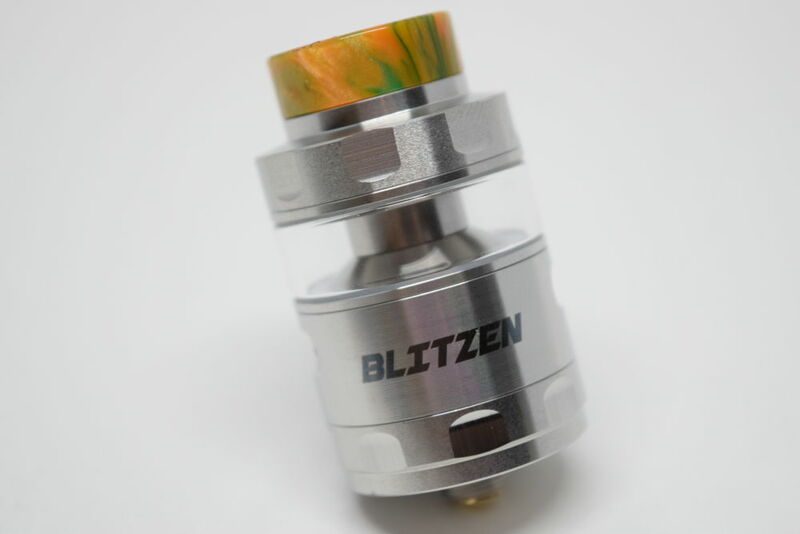 The base of this atomizer is actually just 25mm, but it actually extends to 27mm at the top of the metallic base, so even with the classic glass section included in the kit, you’re looking at 27mm in diameter. From the base to the top cap -not including the pre-installed Ultem 810 drip tip – the Creed is 40mm tall. With the bubble glass, this RTA holds up to 6.5 ml of e-liquid, while with the classic glass section, the juice capacity is limited to 4 ml. The Creed RTA is made primarily of stainless steel and glass, with metallic components featuring a sandblasted finish. It’s definitely not a bad look, but I personally am a fan of the classic stainless steel look, which I feel is also more practical in the long run, as scratches start piling up. But this is very subjective, so I definitely can’t fault GeekVape for going with the sandblasted look. 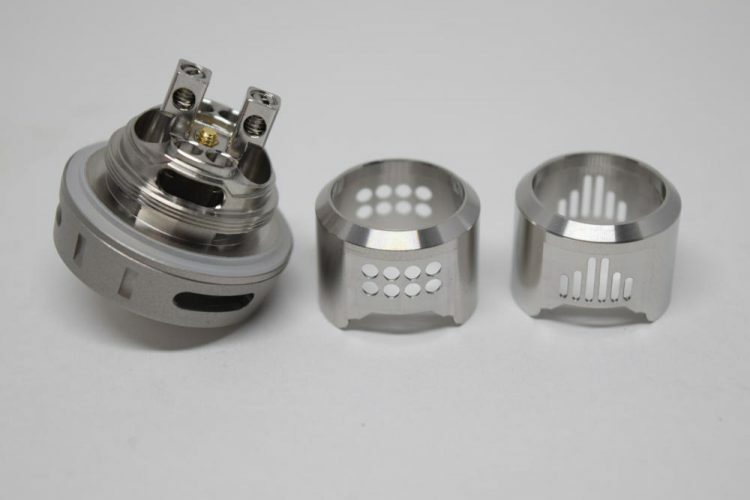 Starting from the top, we have an 810 Ultem drip tip with a cool stainless steel beauty ring, which unfortunately doesn’t match the sandblasted finish of the Creed. I think this is the coolest of the three included drip- tips, but if you don’t like it, you can try one of the other two. Seen from above, the top cap has a cog-like knurling that actually comes in handy when you’re trying to access the fill port underneath. GeekVape must have been trying to keep the overall height of the Creed as low as possible, as this is one of the thinnest top caps I have ever seen in all my years of vaping. It’s so thin you barely have anything to grab on to when trying to unscrew it, but as I said, the knurling helps. Unfortunately, the threading on the top cap isn’t the smoothest, and you can feel that as you turn it, but you can also hear the friction. It’s not a deal breaker, but it’s worth pointing out that GeekVape could have done a much better job with the threading. The fill port is made up of two enormous kidney-shaped slots and is slightly recessed so you don’t have to worry about e-liquid building up outside the glass tank and leaking when you remove the top cap. Further down we have the glass section and a massive chimney with the same sandblasted finish as the rest of the tank. 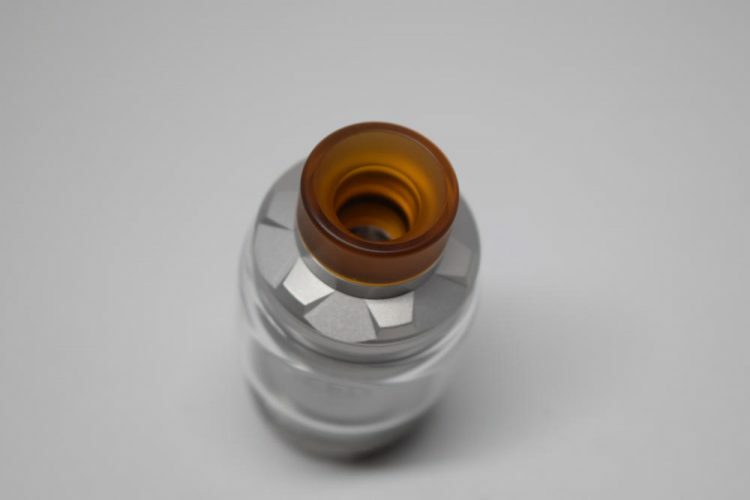 At the bottom, we have the adjustable airflow ring with three medium-size air slots, and at the very bottom, a gold-plated, adjustable 510 pin. But as with any RTA, the really interesting stuff is on the inside. The build-deck is not the most impressive, for the simple fact that we’ve seen this style many times before. It’s basically a two-post Velocity style deck with two massive post holes designed for dual-coil builds. The deck is fixed onto the base of the GeekVape Creed, so don’t try to twist it or yank it off, because you might break it. 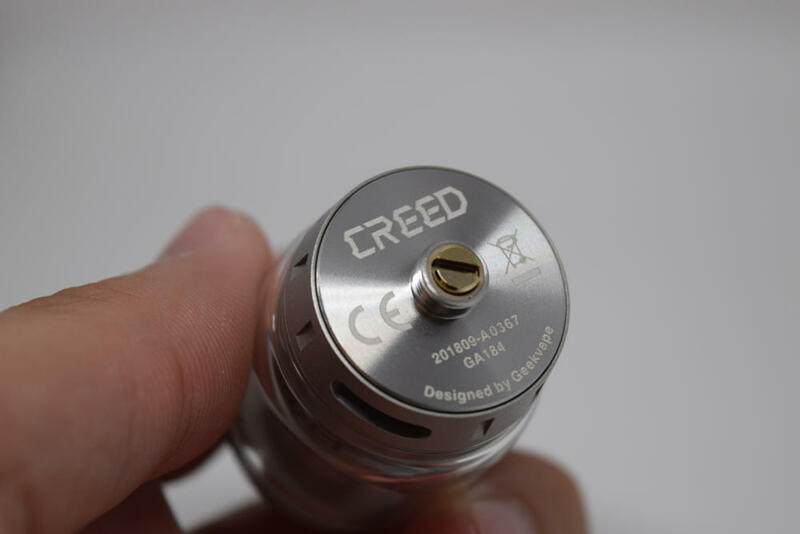 What really makes the Creed stand out from other dual-coil RTAs is the plethora of airflow configuration options. As I mentioned before, this atomizer comes with three different metallic sleeves for the build deck. You can also use it without these sleeves, with the chimney going directly over the deck. If you wick it properly, it’s not going to leak, and it’s actually going to vape ok, but you have to keep in mind that it’s these sleeves that make the GeekVape Creed special, so using it without them doesn’t really make any sense. Two of the included sleeves feature differently-shaped air slots on the side, while the third is completely solid, with only the bottom and top open. GeekVape claims that the first two sleeves allow both bottom and side airflow, with air coming through the bottom of the deck, but some of it exiting through the massive side airflow slots on the deck, going up through the narrow space between the sleeve and the chimney, and then going in through the side slots of the sleeve and hitting the coils. Essentially, they should provide both bottom and side airflow, while the third sleeve only allows for bottom airflow. The sleeves are easy to mount onto the deck, all you have to do is align the notches on them with those on the deck and they just snap into place. I can’t say I’m a big fan of the GeekVape Creed, at least as far as looks go. The small base ballooning into a 30mm maximum diameter isn’t my idea of appealing, and the sandblasted finish isn’t really to my taste either. However, I was intrigued by the sleeve airflow system, so I was looking forward to trying it. As always, when trying any atomizer for the first time, I recommend taking it apart and giving it a thorough rinse, as many of them do have machining oil left over. While the Velocity-style deck of the GeekVape Creed looks simplistic, the fact that the two coils have two share the same two holes, makes it a bit difficult to build on. 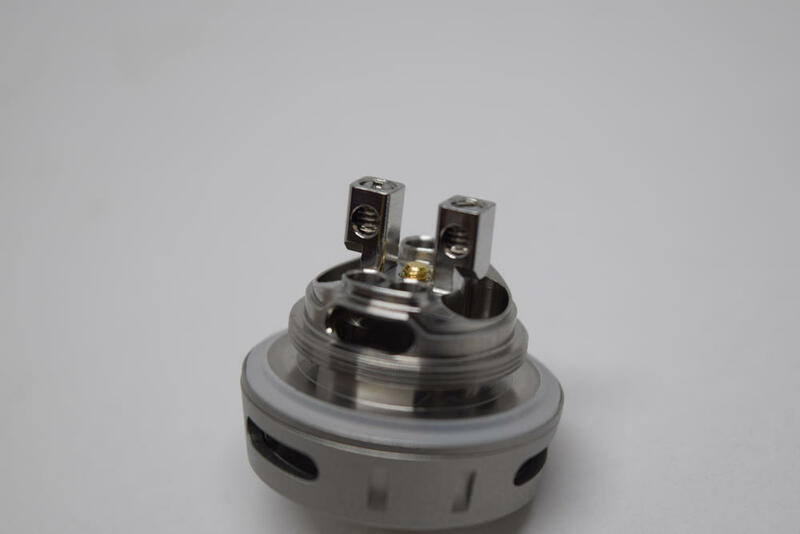 You have to insert both coils from opposite sides, and align them before tightening the screws on the posts and clipping the leads, and that can be a bit frustrating, especially if you lack coil building experience. 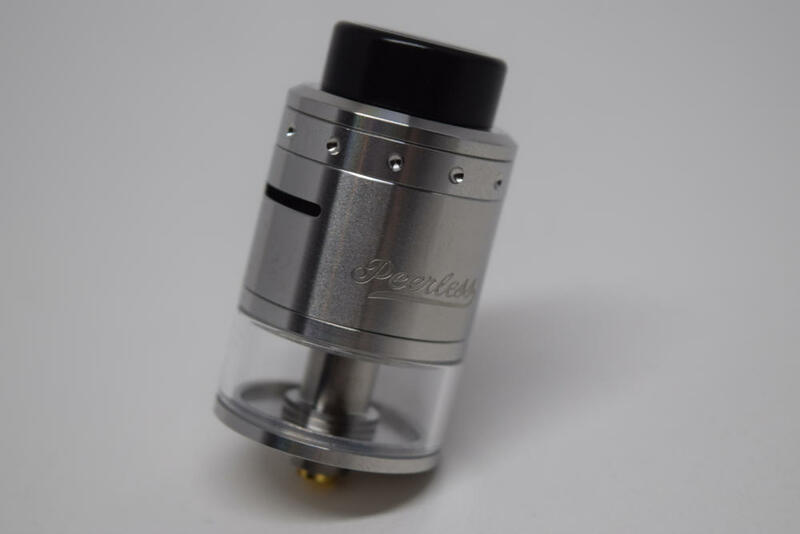 The good news is that while the review kit I received didn’t contain a build deck adapter, the final version will retail with a silicone adapter that completely seals off airflow on one side of the build deck, allowing you to use the GeekVape Creed in single-coil mode. When installing your coils, make sure they are aligned with the two round air slots on the bottom, as you want the air to hit them directly for the best flavor. Also, make sure they are not too far away from the posts, as you don’t want them making contact with the metallic sleeves that go over the build deck and causing a short-circuit. Once your coils are in place, it’s time to insert the cotton wicks. I actually found the wick slots on the base on the Creed RTA intimidatingly large at first, and feared I was going to have to deal with leaks, but if you seal them properly with cotton, tehy actually keep the wick perfectly saturated even when chain-vaping. Because a big part of the wick makes direct contact with the e-liquid, you don’t have to worry about dry hits as long as you still have juice in the tank. While I certainly don’t recommend stuffing the wick slots full of cotton, you want to seal them off completely so that juice can’t flow freely into the atomization chamber. I didn’t leave my cotton leads too long, as this actually makes it harder for the e-liquid to find its way to the coils. Instead I clipped them just so the cotton only reached halfway into the wick slots. I didn’t actually test how the GeekVape Creed works with no sleeve, but I suspect it would still deliver a decent vaping experience. Maybe you won’t get the best flavor, as the air will be all over the place, instead of hitting the coils directly, but it should still be ok. However, as I said, these sleeves really bring out the best in this RTA. 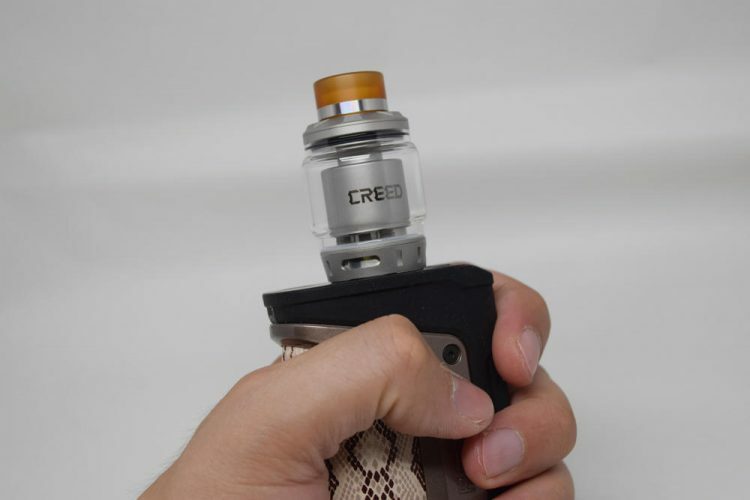 I personally used the solid sleeve the most during the two weeks I spent testing the Creed RTA. I agree that having both bottom and side airflow sounds better, but I found I prefer bottom airflow only, at least on this atomizer. It has just been giving me better flavor, and the atomizer is actually less noisy when using it, compared to the other two. To be honest, the difference between the three sleeves isn’t really that great. I personally preferred the solid one, but the other two provided a very similar experience. I found the flavor to be slightly less intense, but I would definitely rate it above average with the side airflow sleeves as well. Comparing the two side-airflow sleeves to each other, I for one didn’t notice any difference at all. You basically only have differently-shaped slots, but i fail to see how that affects the vaping experience. As far as vapor production, it depends a lot on your build, but if I were to compare the three sleeves, I would say that the side airflow ones are just a tiny bit better. But again, the amount of vapor you get depends mostly on your build and how much power you’re pumping into it. 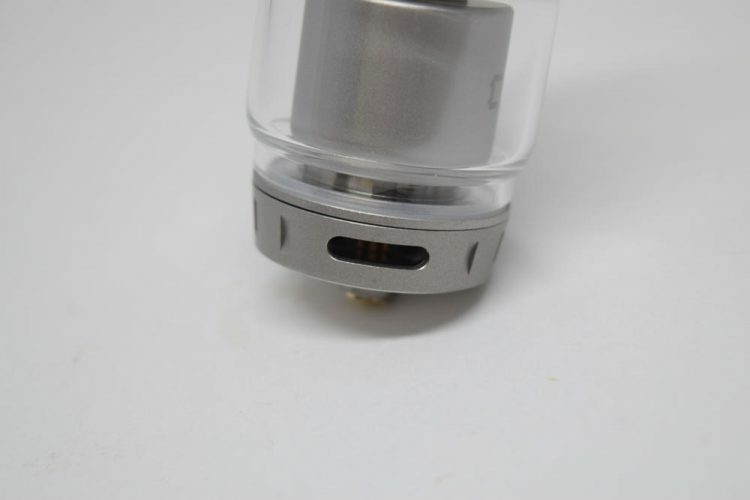 I have yet to experience any leaks, and I don’t expect this to be an issue, simply because the deck is raised so high up from the base that, as long as you seal off the wick slots completely, juice won’t find its way to the coils. 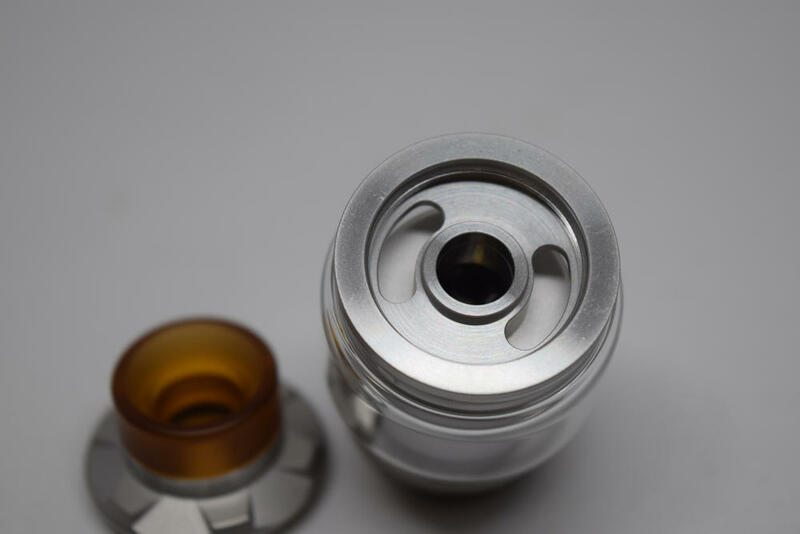 The GeekVape Creed is an interesting RTA that presents users with a multitude of airflow customization options. 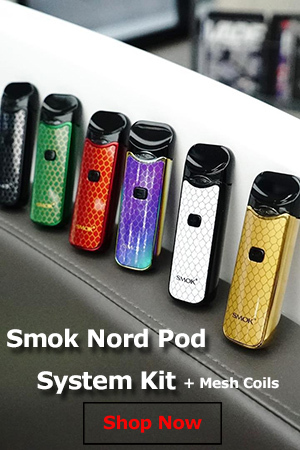 Its deck sleeve system is definitely innovative, although personally, I don’t feel that the different types of sleeves -especially those two side-airflow ones – greatly affect the vaping experience. It sounds a lot more impressive than it actually is, is what I’m trying to say. Still, while the sleeve system may not be the most impressive innovation in vaping history, there is no denying that the Creed is capable of delivering both intense flavor and killer clouds. 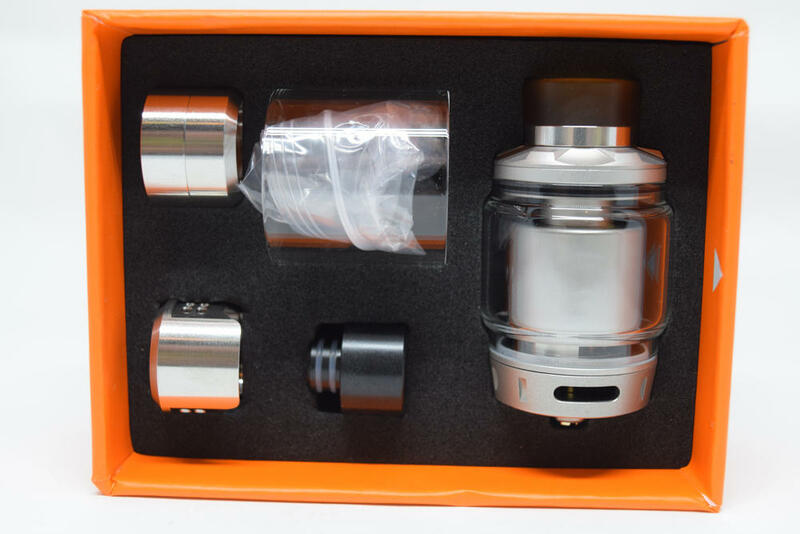 It’s a solid RTA, so if you don’t mind its design and size, I definitely recommend you give it a try. The GeekVape Creed RTA was sent to me Heaven Gifts for the purpose of this review.